The temple is praised in the Mangalasasanam hymn of Saint Tirumangai Azhwar saying that those chanting the glory of Sengalmal would be kings on earth and be one among those blessed souls in heaven. Vaikunda Ekadasi in December-January (Margazhi) is grandly celebrated in the temple. The temple ranks among the celebrated 108 Divya Desas of Sri Vishnu. Of these temples, this is the only temple called ‘Ambalam’. Sri Senganmal Ranganathar Temple, Tiruthetri Ambalam, Tirunangoor-609 106. 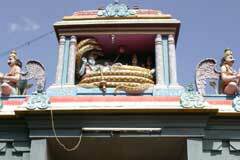 Lord Perumal blesses the devotees with four arms facing east in a reclining form. The vimana above the sanctum is called Veda Vimanam. Lord Shiva and Mother Sengamala Nachiar had the darshan of Lord in the temple. Besides the presiding deity, Lord Lakshmi Narayana, Mothers Sridevi and Bhoodevi, Chakarathazhwar, and Lord Santhana Gopalakrishnan bless the devotees from the sanctum sanctorum. 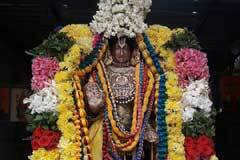 Mother Sengamalavalli Thayar blesses from Her own separate shrine. 12 Azhwars and Sri Anjaneya are in the Mahamandap. It is strongly believed that devotees are elevated by the grace of Perumal to royal levels and prayers for such positions are immediately responded by the Lord. This is the only Lord Vishnu temple among the 108 Divya Desas known as Ambalam. 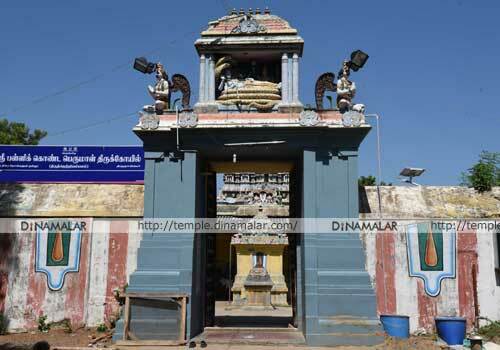 People in Tirunangoor know this temple as Pallikonda Perumal temple only. 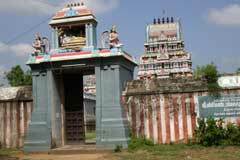 Of the 11 Perumal who came to this place, Perumal in the Temple is but very Sri Ranganatha of Srirangam. Worshipping Perumal here is equal to worshipping Srirangam Perumal. 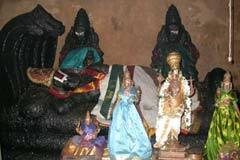 In the east faced Temple Lord Perumal is in a reclining form on the Adisesha bed with four hands. His head and right hand are on a wooden stand. The left hand is on the hip. Mother Sridevi is on the head side and Mother Bhoodevi is at the feet side. Demon Hiranyakshan took the earth and hid in the Padala Loka – the world below the earth. All the sages and Devas reached Lord Vishnu for protection and restoration of the world at its original place. Lord Agreed to take the Varaha incarnation – a colossal swine form with a horn at the nose. Mother Mahalakshmi said that what she could do if He leaves Her. So asked Adisesha the divine serpent serving Lord as bed, umbrella etc. Perumal advised them to go to Palasavanam and meditate upon Him. He said that Lord Shiva also would join them and promised that He would be back after destroying the demon. 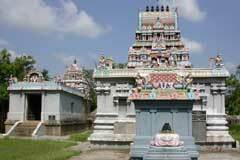 Lord Perumal also said that this place would be called Tiruthetri Ambalam in Kaliyuga-the present period. Adding, Perumal said that staunch devotee Sri Bashyakarar would bring 108 scholars initiated to Vaishnavism to this place and that He would take care and protect all beings. Lord left for Padala Loka, destroyed the demon, rescued earth and placed it in its own place. Lord came to Palasavanam as promised to Mother Mahalakshmi and Lord Shiva and granted His darshan. He also relaxed here after the war with the demon half closing His handsome red eyes. Hence, Perumal is praised as Senganmal Ranganathar – Lord with red eyes.